Here's Why You Should Learn Language Online FREE...and Also Why You Won't. 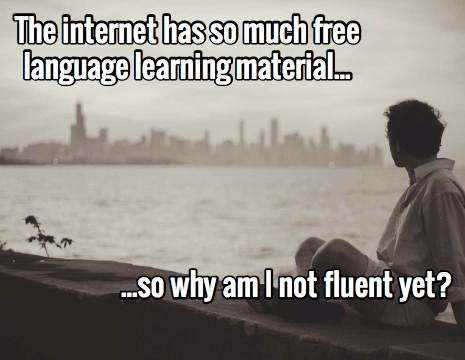 Here’s Why You Should Learn Language Online FREE…and Also Why You Won’t. June 17, 2013 by The Junkie 4 comments on "Here’s Why You Should Learn Language Online FREE…and Also Why You Won’t." Can you learn language for free? Sounds good right? Everyone’s searching the internet for this. 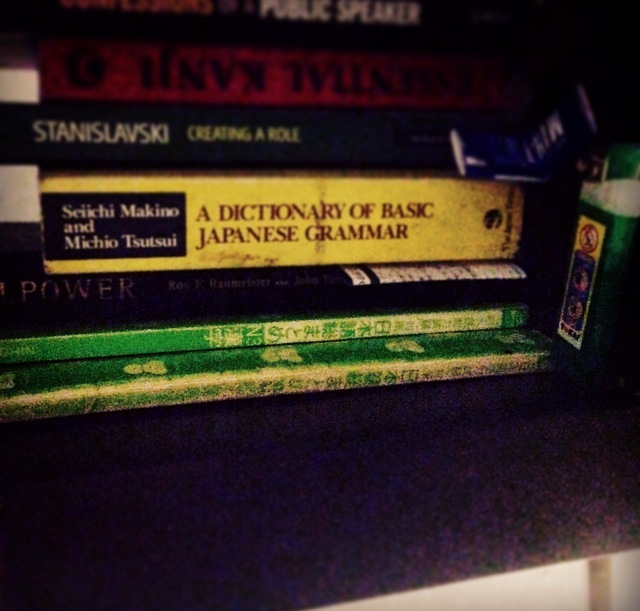 “learn korean free,” “learn japanese free,” or some other language… for free. You’d probably be able to reach a decent lower intermediate level. There’s enough material online. There are movies and tv shows . There’s word lists. There are grammar blogs. Most people searching “learn language online free” are not serious learners. They’re the same ones looking for that ONE SECRET TIP or HACK to get them to fluency. AKA, they’re looking for a shortcut where there is none. Point being… the internet is ALREADY full of information. A lot of it is FREE! More than enough of it. So why aren’t you fluent already? There’s millions of learners going nowhere and giving up fast with free material. And it’s not the free materials’ fault. The learner was not serious to begin with. They weren’t serious enough to INVEST…not money…but TIME and EFFORT. There’s too much free stuff. Lots of learners looking for the easy way out. No structure to keep them in line. And no desire to INVEST. Can language be learned online for free? If you have the steel determination and perfect self control… Yes. You’d probably be able to reach a decent lower intermediate level. Maybe higher, if you find a skype buddy. But for most people… No. So You’re Saying I Should Pay To Learn A Language? 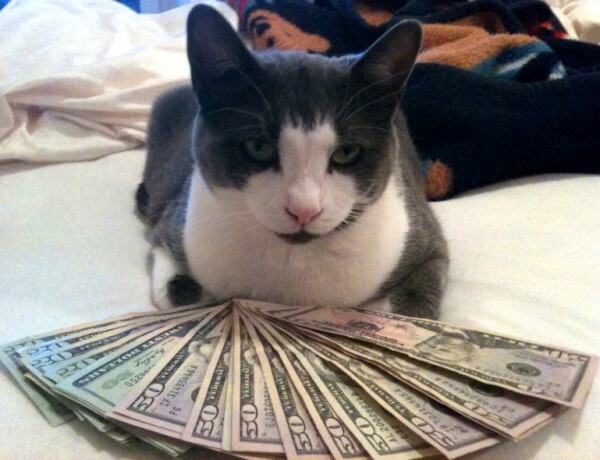 Money cat has money. Do you? You’re going to be paying either way. You’re going to be giving up something. And language…takes a bit of time to learn. So when it comes to free material, you’re on your own. No tutor to watch your back. No one to test you and hold you accountable. There’s little to no explanation with what you’ll use. Often times, you’ll have to go digging for answers on forums which require more time. Now… another question must be asked. How much do you care about mastering a new language? You care about looks so you’ll spend money on clothes [you’ll throw these away]. You care enough about buying $5 coffee. You might even care enough to spend money on school textbooks [instead of getting them for free…] in order to study, forget everything you’ve learned, never use that knowledge, and sell them back for pennies. So… I ask again.. How much do you care about mastering a language? Something that will stay with you forever. Something you can use to create new opportunities, make new friends and live a new life. …If you want to master it, you need to consider cracking that wallet open. Hell, even buying a plane ticket to that country counts. But, should you try learn language for free first? Believe it or not, there’s a point when you SHOULD NOT PAY to learn a language. It’s when you begin learning. Why learn for free first? Well, here’s a mistake you want to avoid. Most beginners get inspired, run out and buy the first textbook they get their hands across. They’re excited. They’re motivated. They did 5 pages today. And…. two weeks later, it’s under their bed. Mission failed. Have a textbook lying around collecting dust? Then you know what I’m talking about. You have no learning habits, no consistency, no momentum, whatever. No matter how you want to call it… You aren’t subscribing to the fact that you NEED to do this every day, all the time, non-stop. You’re not SERIOUSLY committed even if you throw down your hard earned money. So start learning language for FREE first. How do you start for FREE? What do you need, as a beginner? Think about it for a second. Study them every day. Practice reading. Practice writing. Speaking. But please, study every day… or 5 days a week if you need rest. One hour per day. If you can keep up for say… a MONTH… without excuses… you can confidently assume that you will take FULL advantage of PAID resources as you’ve did with the free ones. You need that habit and consistency first. Great information provided by you for a language learners…. Previous Previous post: Best Way To Learning Korean? Any Language? It’s Your Way To Do It.